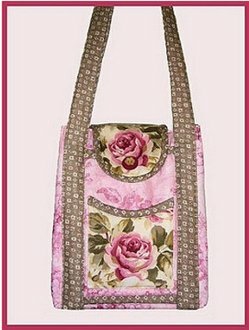 Try it in only one spectacular fabric or "mix it up" for a scrappy look. There's lots of handy pockets both inside and out. Pleat the top sides in (as shown in the sample) or let them "hang out" for a casual go-anywhere bag.